For performance-cruise and cruise boats, Soflam sails are the best choice for cruising boat in terms of cost, performance, reliability and durability. 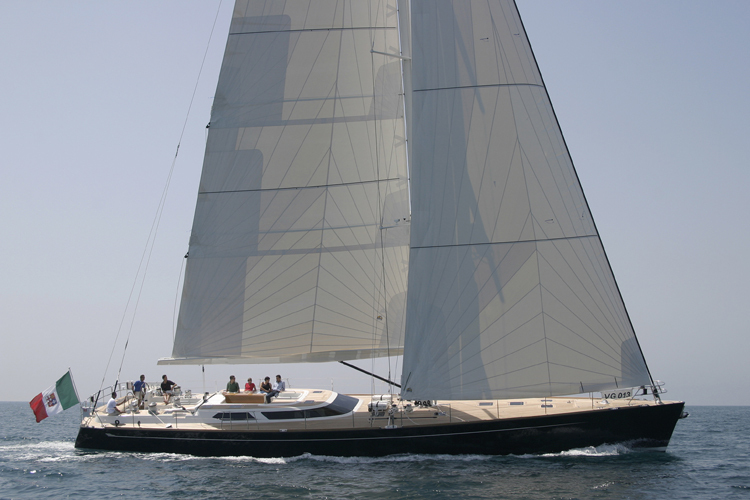 For performance-cruise and cruise boats, the Softlam based triradial construction sails make a very cost efficient, high performing sails that also meets the requirements to get rating credit under PHRF, ORC and other rules; it offers an excellent compromise between performance, longevity and value for money. This kind of Tri-Radial sails are the best choice for cruising boat in terms of cost, performance, reliability and durability. The advantage of radially oriented sails is that shaping can be very precisely controlled and the fabric can be carefully selected for each individual section of the sail, assuring that the sails will hold their shape for a long period of time. Softlam is obtained by laminating unidirectional fibers of Dacron between two layers of Mylar; for its construction, the Mylar has excellent shape-retaining design, lightness and durability. To optimize the weight of the canopy will be built with differentiated tissue, broken down by load zones.In addition, to increasing the durability and resistance to UV, abrasion and bending will be protected on both sides with UV-resistant taffetà.